Mercury retrograde, the longest blood moon full lunar eclipse in a century, meteor showers, Mars the closest to Earth in 15 years ~ all in July. Schedule glitches, emotional shifts, surprises and transformations are all in the stars above and the air around us. How we navigate their influences however, can be up to us. Our "staying the course" with our highest goals, integrity, and grounding practices can help keep us centered, and bring stability and celebration to those around us, so the transformation that swirls around us will touch us in ways we would welcome. Whatever prayer, meditation, journaling or other practice is your spiritual rock, lean on it. Welcome the stars to work their magic in you; trust that you are evolving, as they are. August 10-12, New York City welcomes the 7th annual New York AcroFest, our city's vibrant celebration of all things AcroYoga, welcoming brand newbies and pros, NewYorkers and visitors, to the practice we love. The main events take place is the air-conditioned Field House of Chelsea Piers, and the additional perks include Friday's guided Acro Photo tour, Saturday evening's Bodyworks & Desserts Lunar Jam at Om Factory, and Sunday afternoon's Central Park Jam in Sheep Meadow. A beginner fun and games class called "AcroYoga FUNdamentals" Sunday morning with my beautiful Acro daughter, Lana Heintjes, who holds Acro space in New Paltz, NY. My newest AcroYoga tank shirts may be here in time for sale at NYAF too! ~ They will be your choice of purple or orange. 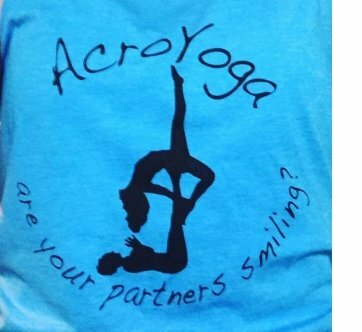 Slight design variation from this one, but they will still say "acroyoga ~ are your partners smiling?" ~ because to me that is the true measure of just how badass your AcroYoga practice is! Use the code MARY10 for $10 off your Festival ticket at checkout! October 5-7, Portland Oregon ~ tickets are on sale for the 9th annual Divine Play AcroYoga Festival, the biggest gathering of AcroYogis around the world, every year. Every level and style and lineage is represented. Merchandise and connections and fun are part of the experience. 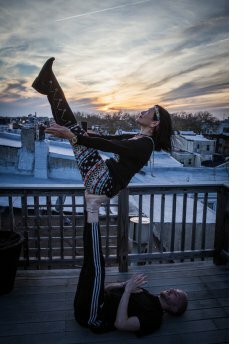 I will teach a Friday day-long intensive for beginners: “AcroYoga 101: Setting Up for Success” with my long time AcroYoga sister and friend the awesome Chris Loebsack. Then on Saturday afternoon 4:15-6:15 I will teach an intermediate flow workshop with NYC and global AYI teacher Yael BenReuven, called "Consensuality Flow". All takes place at the Oregon Convention Center. Use my Code MARYPLAY10 for 10% off at checkout (limited supply)! And ~ see you for some divine playfulness in Portland! the fabulous SOUL squad in a new tropical Yoga adventure! ~ with Juan Gamboa, Esco Wilson & SOUL Squad ~ TBA!!! 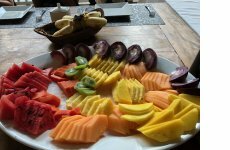 We are sooo excited, Juan Gamboa, Esco Wilson, and I, as we meet to plot and plan your 2019 January Yoga getaway in paradise. Can you just see us rubbing our hands in glee, our eyes aglow? This is a fact! When all the details are in, you will see the splendid venue, photos, videos, and sign-up links. Meanwhile, know that you will prooobably want to keep those dates of January 5-12 ooooooopen ... right after all the holiday hoopla and heading into the cold bitter months of winter, right? Who doesn't need an escape? Right into the replenishing natural elements: sun, water, air, sparkling earth, to revitalize heart, soul, and body. And plenty Yoga classes with each of us, to retune you for 2019! We will have a stellar SOUL SQUAD support team with us, as in reSOULutions 2018. And ... every year, we aim to take it higher & higher! With diversity, with passion, with growth, with exploration, with transformation! ... Come test us out on that! Check out some of the shenanigans here in this clip, and here in last year's page! Keep posted through August for a September unveiling! I honor your email privacy and do not share email lists. Please feel free any time to Reply, Forward, Subscribe, or Unsubscribe. May we never feel we have plateaued, or peaked, in our yoga path and yoga climb and yoga quest! May we never be "above" those "others" whoever we may designate them to be; who aren't on our path! And may we be always open to surprise ~ and growth. OM SHANTI ~ peace, and with it, joy! I am so proud and so pleased with my Mother Mary Restorative Teacher Training crew. June saw a stellar Level 1 group, and above is my July Level 2 group. 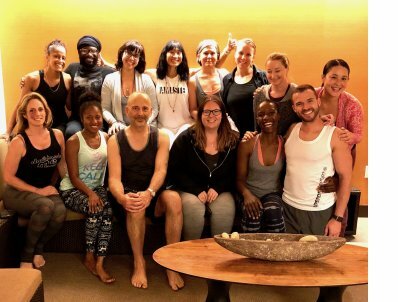 Most will be in L3 and L4 in August and September, to graduate in September with 100 hours of Advanced Restorative Teacher Training at Pure Yoga. In L3 and L4 we will explore Thai Yoga touch and Yoga Nidra Meditation as they enrich the Restorative Yoga practice. Restorative teachers or students with prior Restorative training or teaching experience may contact me if interested in L3 and L4. Otherwise, watch for another 100 Hour Mother Mary Restorative TT in 2019. And, this Sept 22-23, I will be offering a Pure Yoga Nidra Teacher Training, available to teachers and students alike, no prior experience required. Contact me with questions, and Andrea Borrero to sign up! 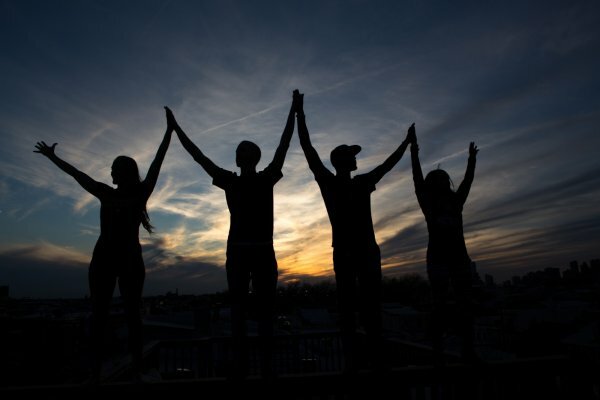 I am a much happier New Yorker this summer, because I am volunteering for Crossroads Community Services, and learning so much more about all the organizations that are working to organize volunteers and corporations, to help feed and house our neighbors. 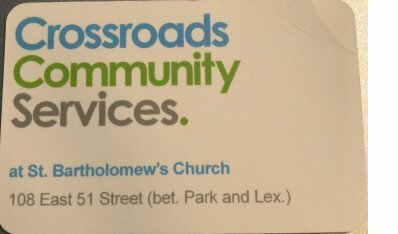 Crossroads is an independent non-profit organization that runs a women's shelter, a pantry program, free breakfasts 3x a week, and daily dinners. Volunteer orientation meetings are held the 4th Monday each month, 6-7PM, in the Vestry Room at St. Bart's. (Enter at 108 E 51st Street and follow the signs to the Volunteer Orientation.) Super efficient, organized, and kind, they offer a wonderfully effective outlet for our desire to help others. 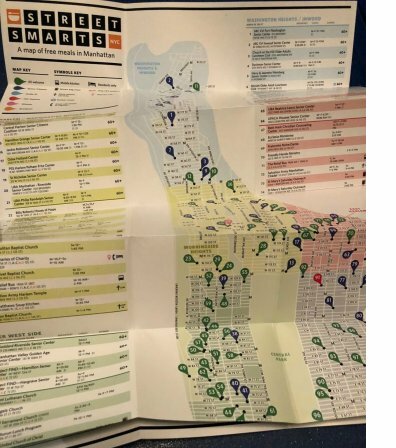 Streetsmartsnyc.org puts out a "StreetSmarts" map of 160 locations of free meals, showers, shelters in Manhattan, coded by location and specific population where applicable. 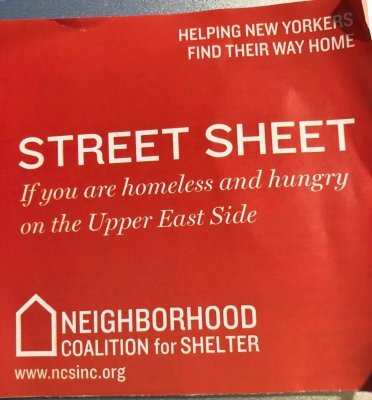 Neighborhood Coalition for Shelter, www.ncsinc.org, has a "Street Sheet" listing resources for for homeless and hungry on the Upper East Side. 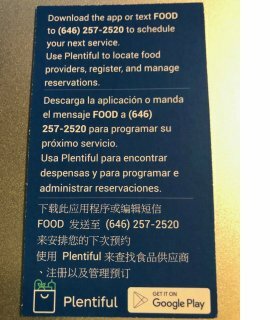 Plentiful for Pantries connects food pantries and clients, to streamline food pantry "shopping" appointments and avoid lines, preserving dignity and choice for NYC clients and families having trouble making their grocery dollars stretch. Giving a few hours a week wherever you may choose, is far more fulfilling than imaginable. So it is for me, anyway. And, deeply and rewardingly educational. Joe Longo for the rooftop sunset photos! My pals for being in those photos with me: Katie Capano, Jean-Jacques Gabriel, & Jake West! Pure Yoga staff for our Mother Mary L2 TT Grad pic. John Suhar for the Acro tank shirt photo, and Tiffany Pek for the tank's logo design. Michael St. Cole for the Bethesda Fountain partner yoga shot. Tanya-B for the tie-dye halter tops! Lex Lyan for reSOULution team 3-headed dragon ~ again Tanya-B halter top ~ she rocks! And, Janel duRoss for my dancing M+Om logo!